I spent the weekend at my favorite place reading an advance copy of The Creole Princess by Beth White for review. Set in Mobile Alabama in 1776, the author reeled me in like a fish off the bayou. I love American history and this setting is a new perspective in that war for independence in the deep south. Major players were the Spanish and the British. Our heroine is Lyse Lanier of French Creole descent and incomparable beauty. 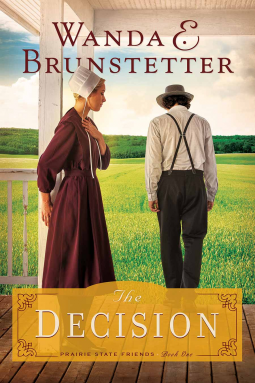 The story is first and foremost a romance with some intrigue along the coast to aid the American cause. Lyse's best friend Daisy Redmond is the daughter of the Commander of Fort Charlotte. The fort plays an important part in the story as unrest after sentiments the Declaration of Independence spreads, forcing Major Redmond to seek the Oath of Loyalty to the crown from the townspeople. In the midst of the building tension a young Spanish dandy named Rafael Gonzales (Rafa) has immersed himself into the society of Mobile and most of all the confused heart of Lyse Lanier. Rafa is not taken seriously by Lyse who believes him to be insincere. He flirts openly and seems to disappear only to resurface in unlikely places. She is torn by the excitement when Rafa is near and the safe attentions of a young British officer of a rather staid nature. Is it better to marry someone just because he is safe or love a man who is handsome, exciting and living on the edge? Rafa has his reasons for disappearing and it is not because he is toying with Lyse. It all comes out in a plot that shows us what risks Spain took to support the American cause. In the midst of some dangerous plots, we experience the cruelty of slavery, prejudice, jealousy and deception. Things are definitely not as they seem. I recommend you take some tea and begin this book for some down time that will keep you guessing what will happen next to our Creole Princess. I think you will agree, she is one courageous, inspirational woman. 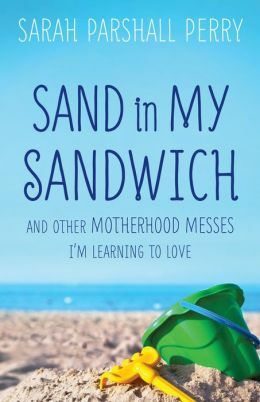 Sand In My Sandwich: An Impartial Review! When I began reading Sand in My Sandwich by Sarah Parshall Perry it reminded me of hearing my mother reading to us at night. Her humor was entertaining and she got a lot of joy from reading about the mishaps that happen in homes with small children. I enjoyed reading how Sarah began her journey as a law student on the recommendation of a Grad Student in the college career center based on what she would like to wear to work: "Um. A Suit." "Well, there you go! I think your answer is Law School." This is how as shy introverted young woman pursued her career in law. It was great learning how she met her husband at a church youth leader retreat that she nearly didn't attend. Motherhood brought many of the usual mishaps we expect but Sarah and her husband Matt are parents of two boys on the autism spectrum. Her middle child, a daughter truly adds dimension to the family. Sarah speaks like it is and I admire her seemingly unflappable approach to raising her family. Her normal day is about as routine as any young mother's in that there is no routine and it is about being flexible, caring and keeping it your cool as much as possible. I have worked in the classroom with children on the autism spectrum and it was a very rewarding experience. I love their approach to learning and their intelligence. I applaud Sarah for sharing her life with us in such a way that is inspiring and entertaining. I respect the challenges and hoops that are part of her family's life that we cannot imagine. She brings new awareness to living with autism. Yes it is a challenge but one that she and her husband Matt believe is a good life with many blessings. Thank you to Revell for the advance copy. It has been an inspiration to read. 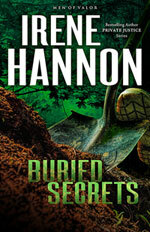 If you like suspense, Buried Secrets by Irene Hannon is for you! Take a 24-year old cold case, a skull unearthed at a construction site and you have the beginnings of one good mystery. Carson Police Chief Lisa Grant and former Navy SEAL turned Detective Mac McGregor are on the scene and ready to dig deeper into the identity of a victim left buried and forgotten in an unmarked grave. With few clues to go on except old missing person reports, they get one small break that sets in motion several discoveries that rattle a sinister mind that will stop at nothing to block discovery of the truth. The plot thickens a plenty when accidents begin to pick off key players from the past. Dangerous plots make strange bedfellows when it comes to trust. The story is a good mystery that hooked me from the prologue. I am not going to allow any spoilers but highly recommend that you pick up a copy of Irene's latest book. Buried Secrets is book one of her new series, Men of Valor. Irene Hannon is a bestselling author of suspenseful romantic Christian fiction that will keep you at the edge of your seat without excessive violence or graphic love scenes. The secret to me is writing a good story to begin with. I was happy to receive another book of Irene's to review from Revell Publishing as I have enjoyed all of her books that I have had the pleasure to read. I am already looking forward to the release two in this series. Sometimes learning God's plan for us is through a series of disappointing events. Jonah Miller left Pennsylvania behind for a fresh start in Illinois. He built a successful carriage repair business and works hard to forget the woman who left him alone on his wedding day. Once in Illinois and getting his business established, Elaine Schrock catches his heart and he dares to open his heart to her.